Distracted driving is one of the most common causes of car accidents in the United States. According to a study by the Centers for Disease Control and Prevention (CDC), eight people die each day due to distracted driving. Currently, there is no federal legislation that bans the use of cellphones while driving, so individual states have taken it upon themselves to slowly increase regulation. In many states and situations, there are more bans on texting while driving compared to other cell phone restrictions. Some states ban texting altogether, but will still allow you to talk on the phone. According to the National Highway Traffic Safety Administration (NHTSA), at any given time there are more than ten million drivers in the U.S. using their cell phone. It is estimated that phones contribute to over 25% of all traffic crashes each year. Many legislatures are starting to implement bans on talking on the phone as well because looking at your phone to dial a number could easily be as distracting as a text message. Some argue that talking on the phone is no more distracting than talking to a passenger, listening to the radio, or drinking a drink while driving. Seven states have passed laws to ban any use of a cellphone while driving or have bans on certain drivers using phones while driving. 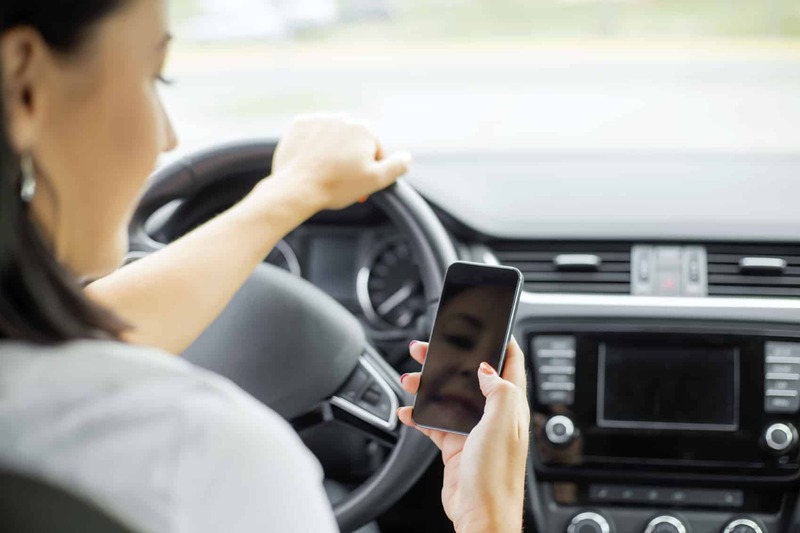 Twentynine states have enacted bans on younger drivers using a cell phone while driving. Most states allow “primary enforcement of an offense,” which means that a cop can pull you over without having another reason other than you using your cell phone. A majority of states have either a full ban on texting and driving or have a partial ban, such as not allowing texting and driving while in a school zone during certain times.